Mazda has revealed a new CX-5 and, while it looks like a mid-life refresh, Mazda says it’s actually the next-generation model. It’s set to provide improved comfort and technology and it’s due in the UK from mid-2017. Prices are expected to start at around £23,000. The new car is lower the outgoing model, with a more upright windscreen to give the look of a longer bonnet. Interior and load area dimensions are very similar to the outgoing car. However, Mazda has worked to improve passenger comfort through a technology called G-Vectoring Control, which reduces the amount of movement felt when cornering. Rigidity has been increased thanks to stronger steel, while the suspension settings have been revised to provide an improved blend of handling and ride quality. 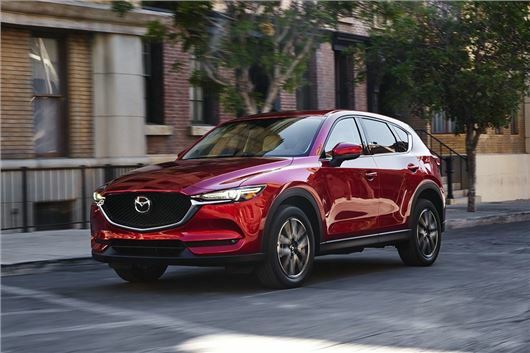 The current CX-5 comes with a 165PS 2.0-litre petrol and 2.2-litre diesel with either 150PS or 175PS, both of which have been improved and carried over into the new model. Mazda hasn’t confirmed any details yet, but expect a slight torque boost and improved efficiency. Inside there is a new infotainment screen that sits on top of the dashboard, as in the Mazda CX-3 and MX-5. Based on the images, it looks to have the same user-friendly interface as in those cars, with a touchscreen for use when parked and a rotary controller to be used when on the go. Specifications for the UK, including pricing, performance and standard equipment, are likely to be announced in early 2017. Toyota and Honda take note - this is how to style a car! Its not ALL about engineering quality.